World chess champion Alexander Alekhine (1892-1946) refined the art of Kingside attack into its purest form. Often Alekhine's onslaught was accompanied by the spectacular placement of a piece directly in front of the enemy King's castled position, exposed to immediate capture. This specialized tactic is called Alekhine's Block, designed to jam interior lines around the defending King or break up his pawn cover. Alekhine's Block is a powerful weapon in the armory of chess warfare, and this book is the first to explore its inner workings. Never before has it been possible to study this crucial but little-understood element of the Kingside attack. Far from being a random event, Alekhine's Block is here revealed as a logical step on the road to checkmate. 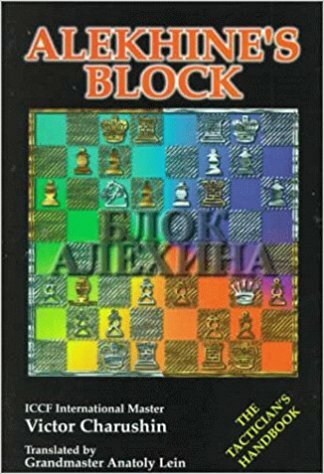 This volume presents systematic and carefully selected examples, which entertain while preparing you to use Alekhine's Block in your own pursuit of the enemy King. The knowledge gained here can only make you a more aggressive (and dangerous!) attacking player.